Fascino, Cygnus Alpha, Ray Z, Ray ZR range get UBS (Unified Braking System). The Japanese bikemaker also says that the 2019 scooter range comes with maintenance-free battery. Prices have gone up by Rs 400 for drum and Rs 600 for disc brake-equipped variants. Yamaha India is on a roll these days. After launching the FZ Version 3.0 and ABS-equipped FZ25 and Fazer 25, the Japanese brand has updated its entire scooter range with UBS (Unified Braking System) as standard. This safety feature was first introduced in the Saluto range. It essentially applies the front brake partially when the rear brake is fully applied. The update comes at a price hike of Rs 400 for drum brake-equipped variants and Rs 600 for disc brake-equipped variants over their respective non-UBS-equipped models. The company says all the scooters get maintenance-free batteries as well. Chennai, February 4, 2019: India Yamaha Motor (IYM) Pvt Ltd. has announced its renewed scooter line up now enabled with Unified Braking System (UBS) along with additional feature like maintenance free battery. In 2019, the company in line with its commitment of offering exciting, stylish and sporty mobility products in India, has introduced the ABS enabled YZF-R15 Version 3.0 (155 cc), the new FZ FI (149 cc), FZS FI (149 cc), FZ 25 (249 cc) and Fazer 25 (249 cc) in exciting colours. Yamaha Fascino has considerably gone into raptures about its unique styling and fashion cues since its launch in 2015. 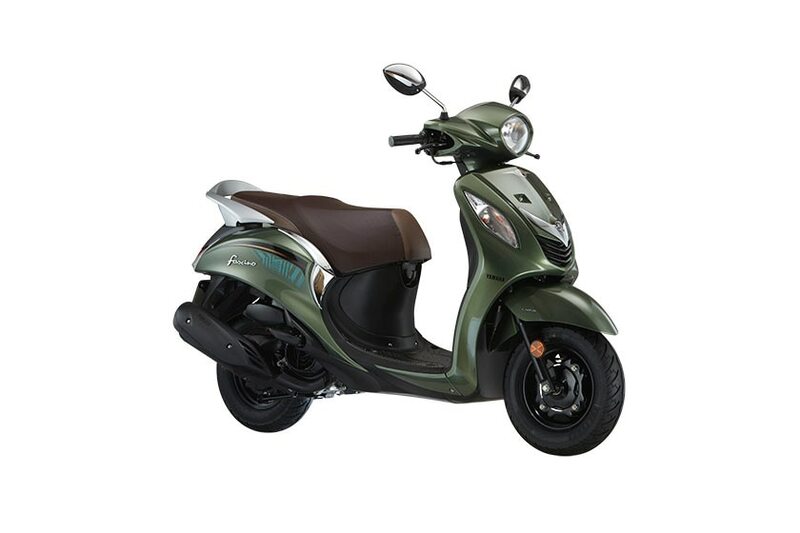 In 2019, Yamaha has further jazzed up the unisex appeal of Yamaha Fascino (113 cc) by introducing a modish colour “Season green” with UBS, maintenance-free battery.